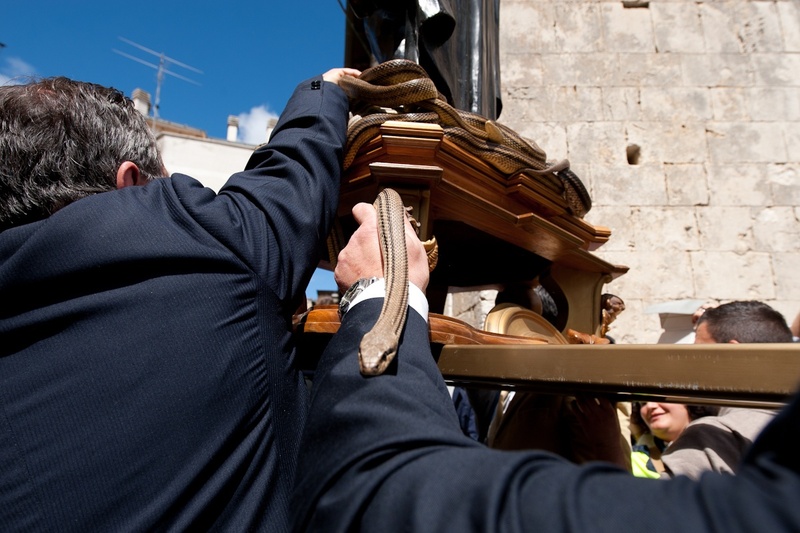 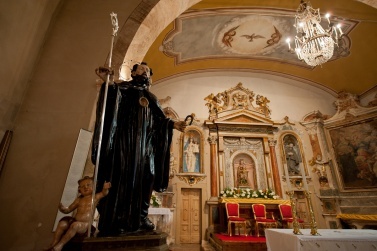 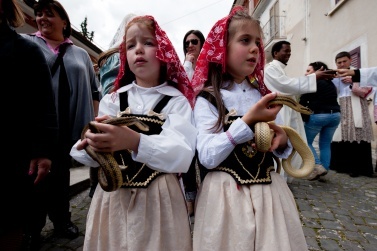 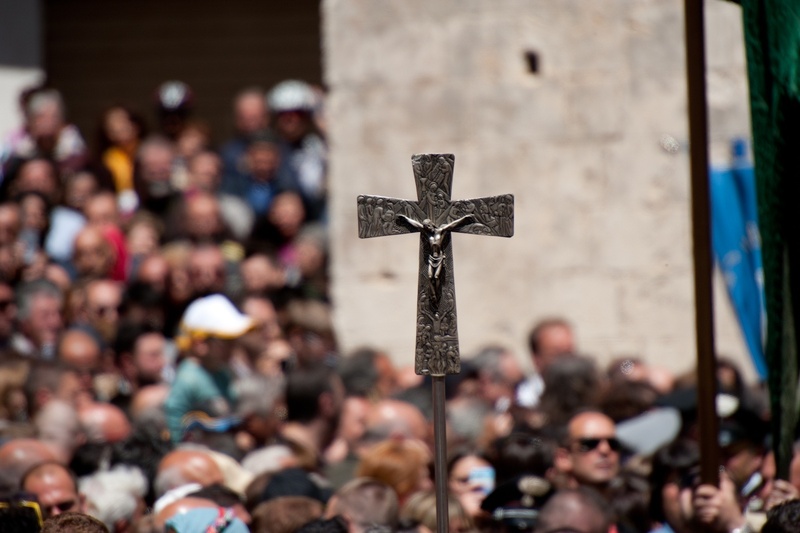 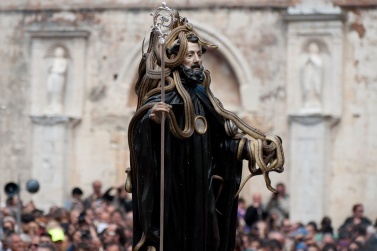 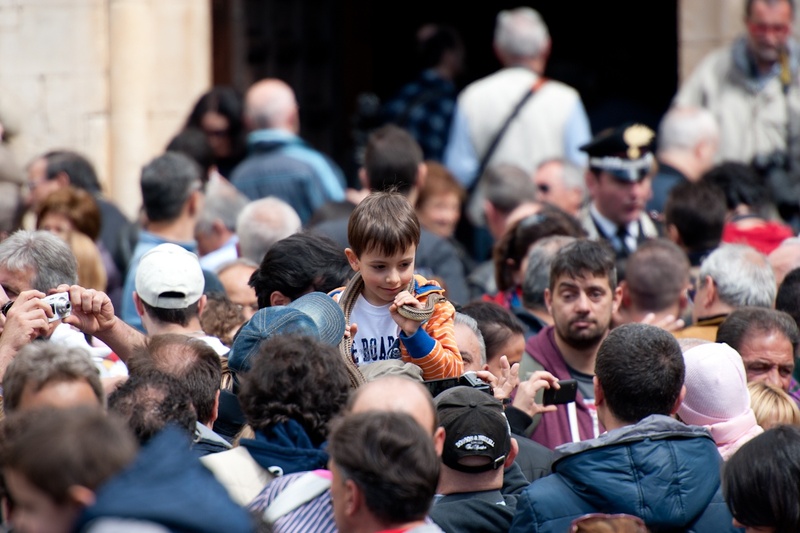 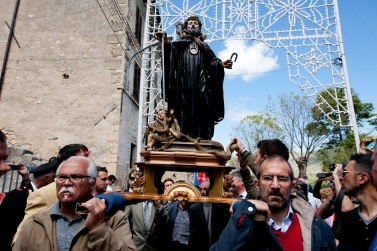 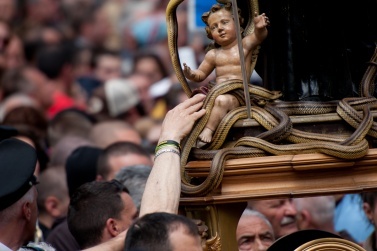 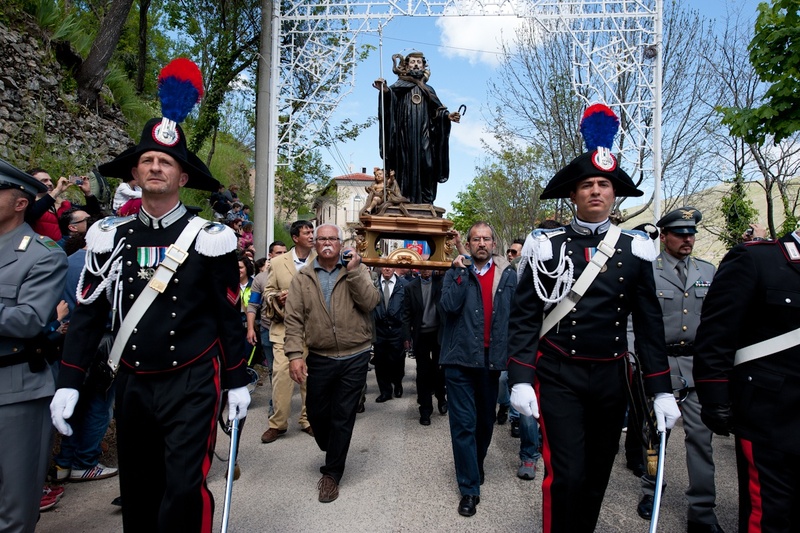 Every year in may, in Cocullo an ancient rite, today turned in a sacred-profane festival. 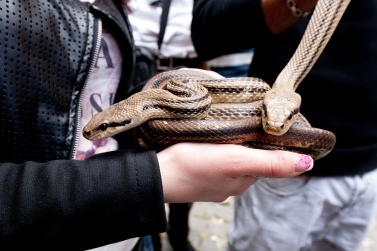 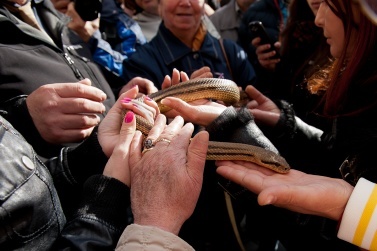 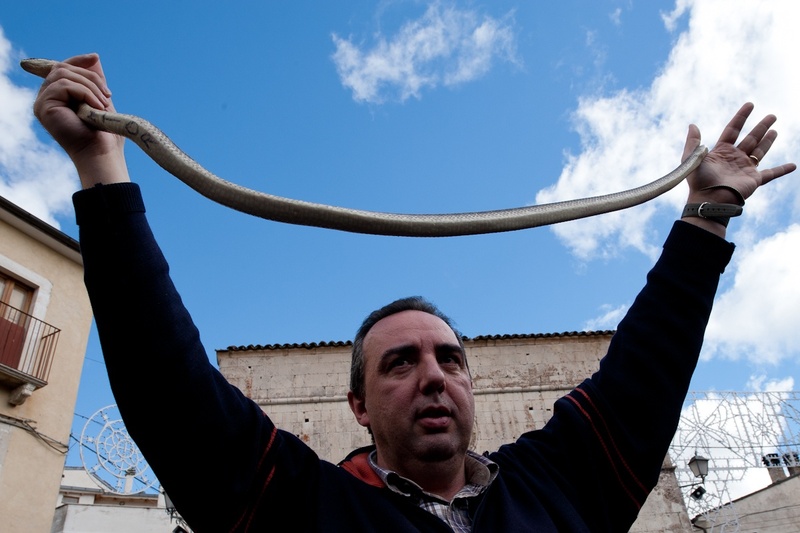 All starts at the end of March, when the serpari or snake-charmers go out of the village in search of snakes. 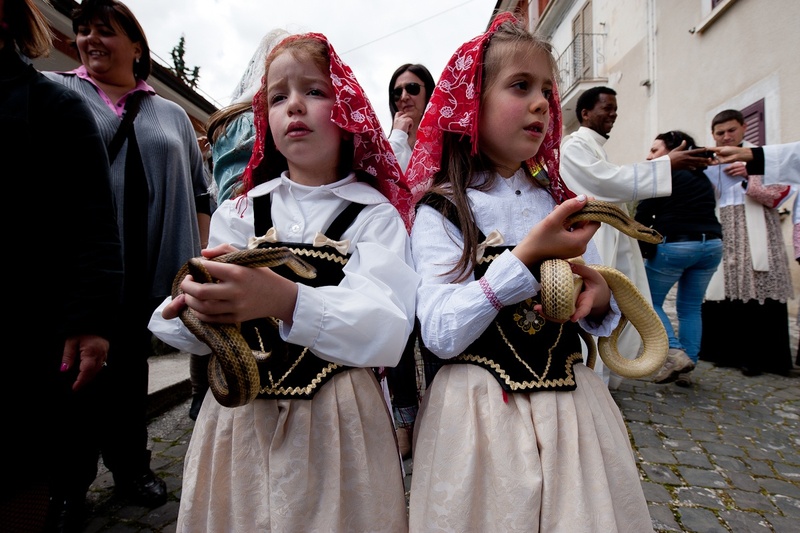 Once rounded up the snakes, they are kept very carefully in wooden boxes (in the old days, in earthenware) for 15 -20 days, feeding them with live mice and hard-boiled eggs. 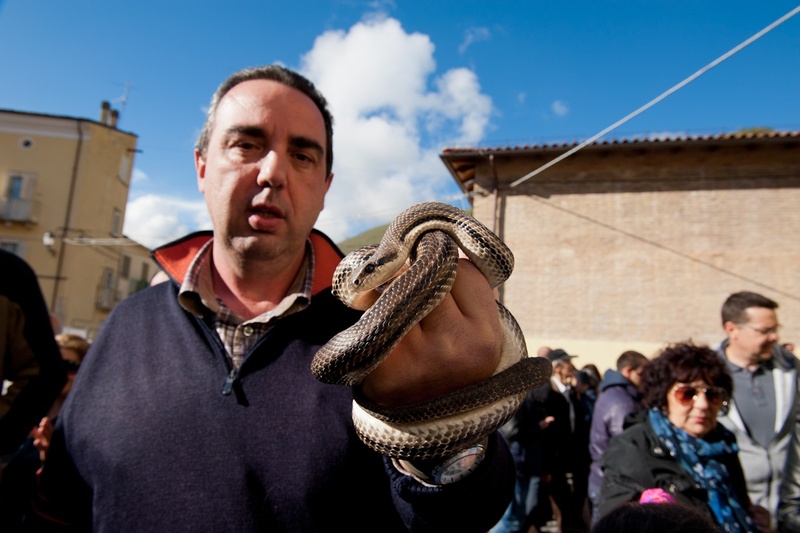 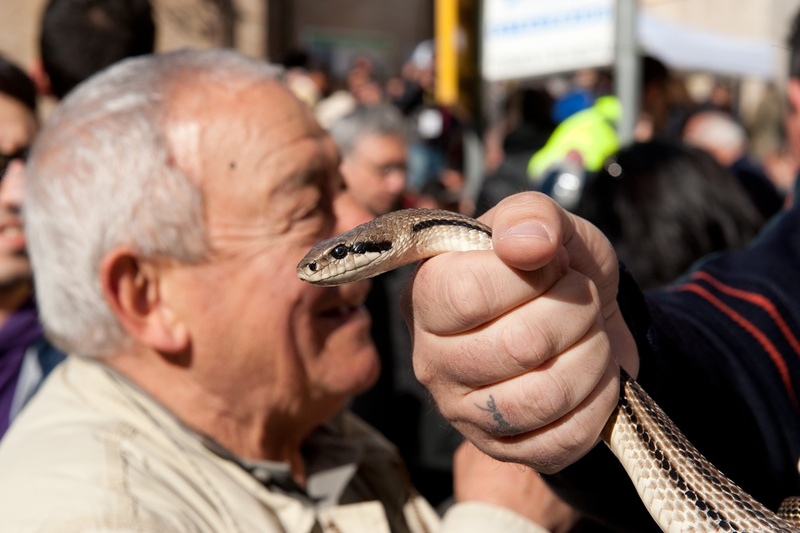 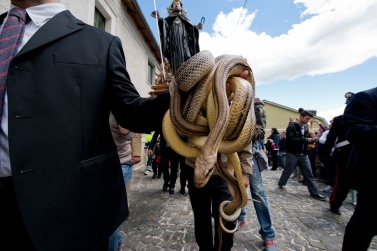 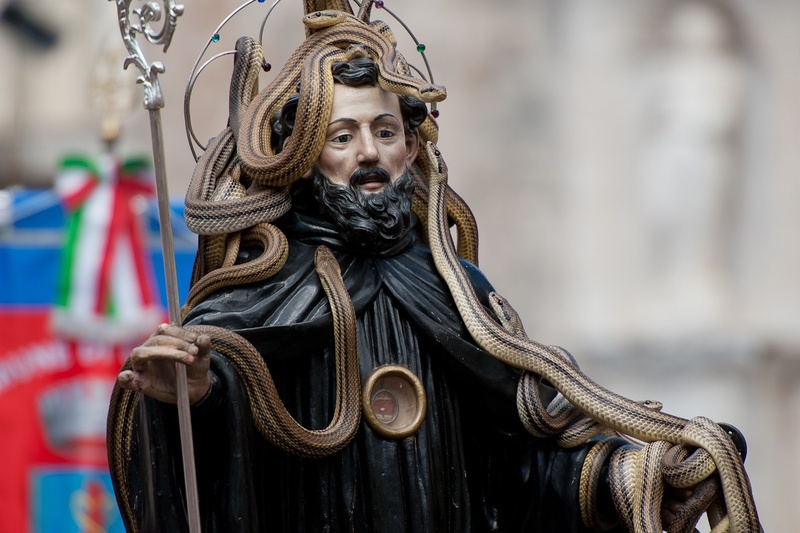 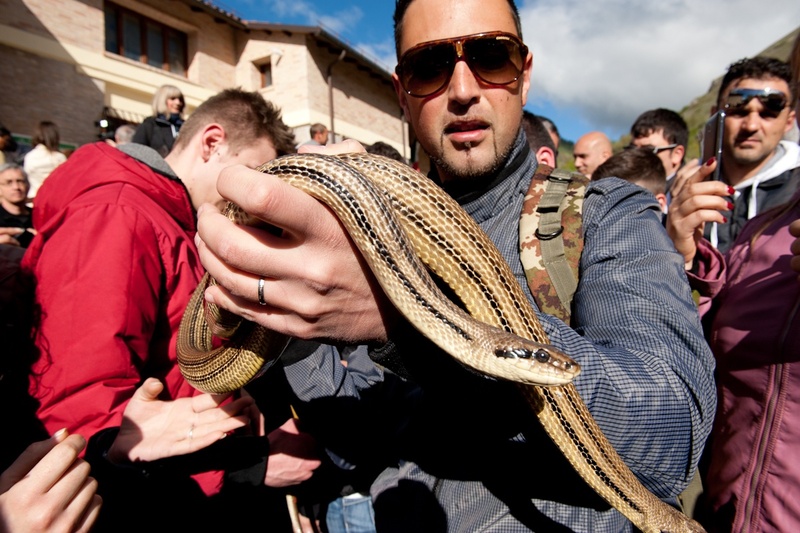 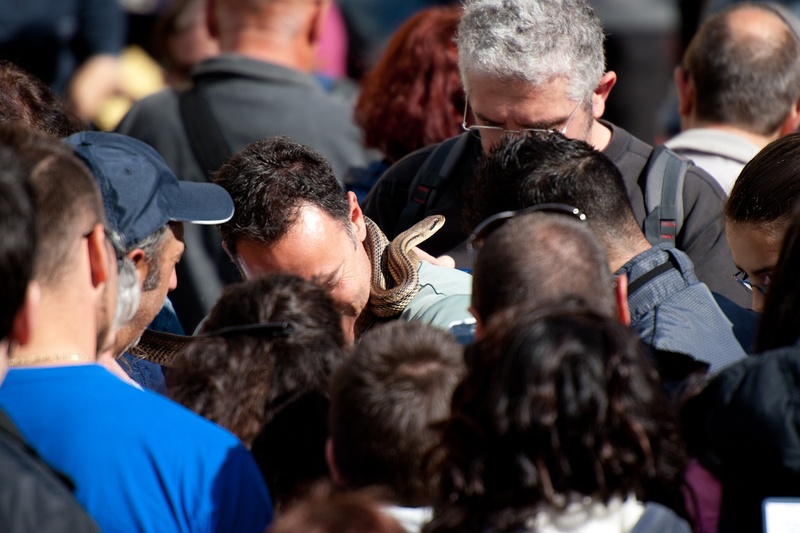 This custom is related to the civilization of the ancient Marsi, today summoned by Cocullo's inhabitants in honour of St Dominic, deemed to protect against toothache, reptile bites and rabies. 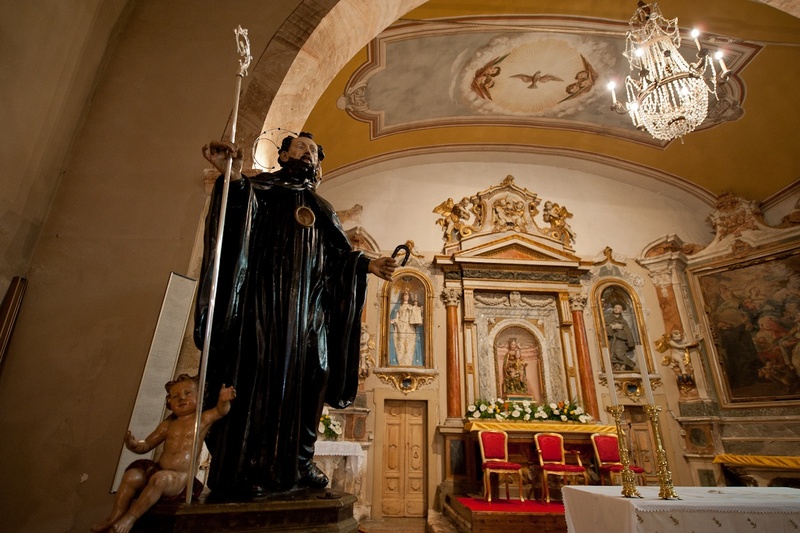 St Dominic was a Benedictine monk from Foligno who crossed the regions of Lazio and Abruzzo founding monasteries and hermitages. 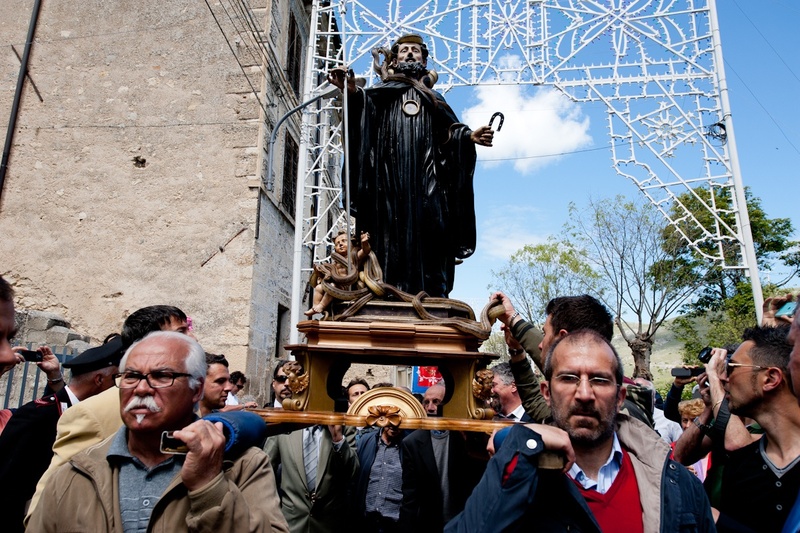 He spent seven years in Cocullo, leaving one of his teeth and a horseshoe of his mule, which became relics. 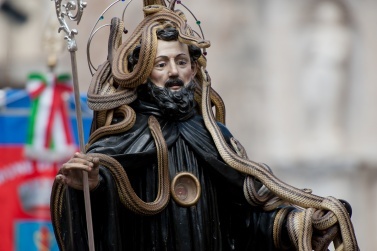 Therefore, the morning of the festival, the faithful pull a chain with their teeth, to maintain the teeth healthy, then they line up to collect blessed earth, in the cave behind the Saint's niche. 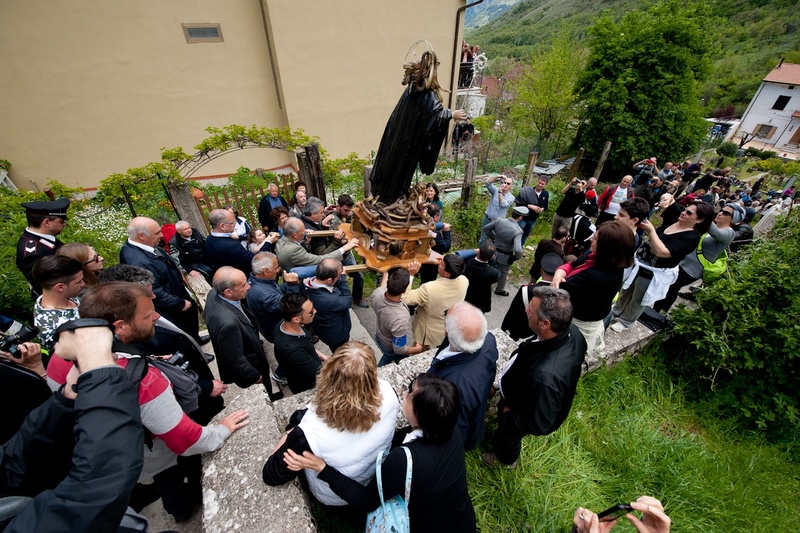 The earth will be kept in their homes, a protection against malefic influences, spread on the fields to keep away pests or dissolved in water and drunk against fever. According to some scholars, the rite is to be ascribed to the goddess Angizia, revered by the ancient Marsi. Other scholars instead, ascribe it to the mythology of Hercules. 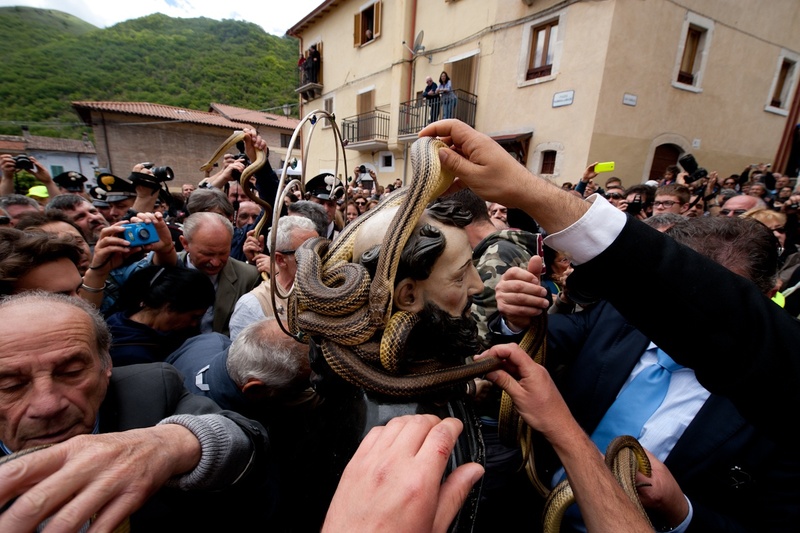 Actually, in the hamlet of Casale votive bronzes depicting Hercules who, as we know, strangled the two snakes sent to kill him by Era in his crib, have been found.